Anyone who has watched CSI, Bones, or Breaking Bad on television has had the opportunity to see how chemistry can be important in solving (or committing) a crime. 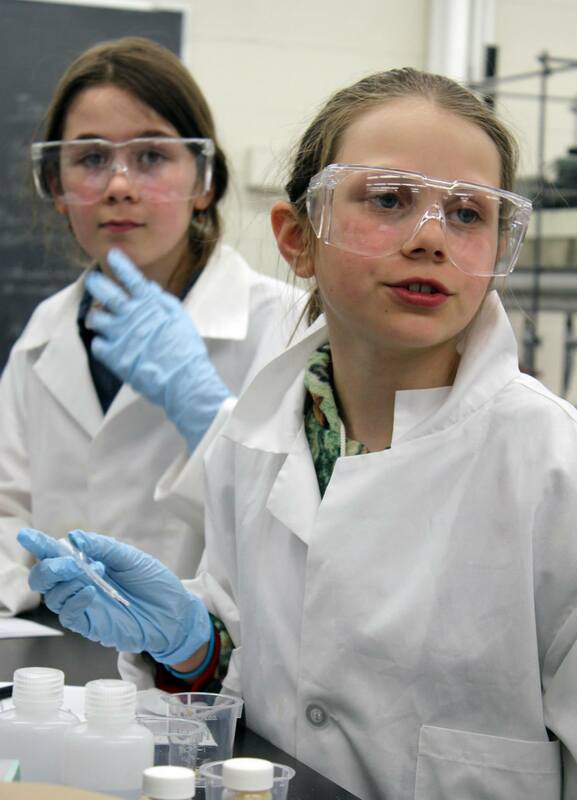 The popularity of forensics drama inspired scientists within our Center for Sustainable Nanotechnology to develop a set of outreach activities where middle school students can use chemistry to solve a mystery. At the very least, the participants should have fun, while, at the best, they will hone their deductive reasoning skills and realize how exciting chemistry can be. This activity was recently published in the Journal of Chemical Education, and we would love to hear feedback from anyone who uses or would like to use the activity in their own education or outreach community. Before the mystery solving begins, graduate students and faculty work hard to dream up a crime scenario. Then, graduate students go way out of their comfort zone and act in a video that depicts the crime and interviews with each of 4 or 5 potential suspects. The scientists assemble “evidence kits” for each team and the analytical chemistry tests that the middle school students will use to solve the mystery (a few specific mystery scenarios are described below). On outreach day, the middle school students watch the video, receive minimal direction on the analytical tests, and then grab a box of evidence. The students work in small teams to conclude which suspect committed the crime. Each team of middle school students has a graduate student or faculty member stay with them, advising them as necessary during the activity. However, their “advisors” give minimal direction—students can test any evidence at any of the stations and have two hours to make their conclusions. The three scenarios published in the recent article (with full scripts, in case activity users want to make their own videos) include: (1) a pesticide spill in a Midwestern river that is killing native species, (2) a jewel theft from a science museum exhibit, and (3) a break-in at a solar panel manufacturing facility. Each scenario includes a cast of characters (suspects) and the evidence that should be included for the middle school sleuths. The analytical tests included range from traditional forensics tests (detecting blood with chemiluminescence) to brand new tests (nanoparticle-based detection of pesticides). In some cases, we learned some tricks for creating more convincing evidence – for example, sweaty hands make much better fingerprints than cold, dry hands. There’s no reason that people using this activity should feel limited to the scenarios or tests that we’ve included in this first publication… one can imagine many fun and personalized mysteries that students would enjoy solving. It would also be possible to choose the tests specifically to emphasize particular chemistry concepts. In the years we beta-tested this with middle school students, we were impressed about how engaged students were and how good they were at deducing which experiments would be effective with which types of evidence. We were also impressed at how often they correctly identified the criminal among the available suspects. Along with enjoying solving the mystery, the students learned basic tenets of the scientific method and analytical chemistry by experience, including (1) what is an observation?, (2) what is a hypothesis?, and (3) what are positive and negative control experiments? 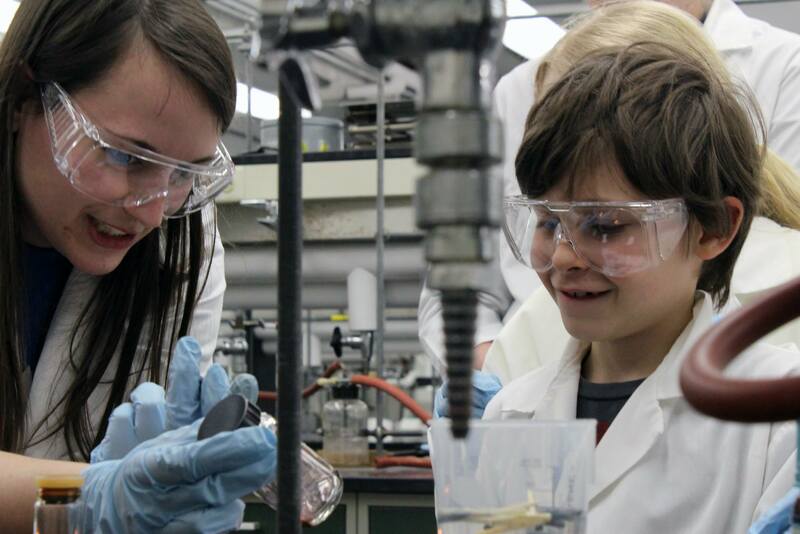 An added benefit was to the scientists within the Center for Sustainable Nanotechnology as everyone enjoyed working with the middle school students and practicing their skills at discussing technical concepts to a broad audience. 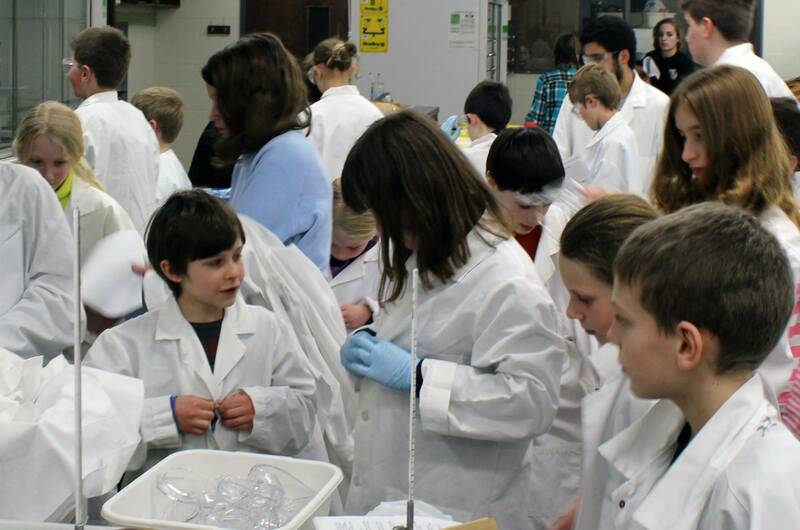 These activities are now being expanded for use in 4H programs across the Midwest aimed at reaching youth from groups that are underrepresented in the sciences. We at the Center for Sustainable Nanotechnology hope that, by taking the lead from pop culture, we help create a future brimming with a diverse array of scientists. See below for more pictures of our recent Whodunit event in Madison, WI (note to google chrome users, click the “Forensics & Chemistry event” link to see all the photos. 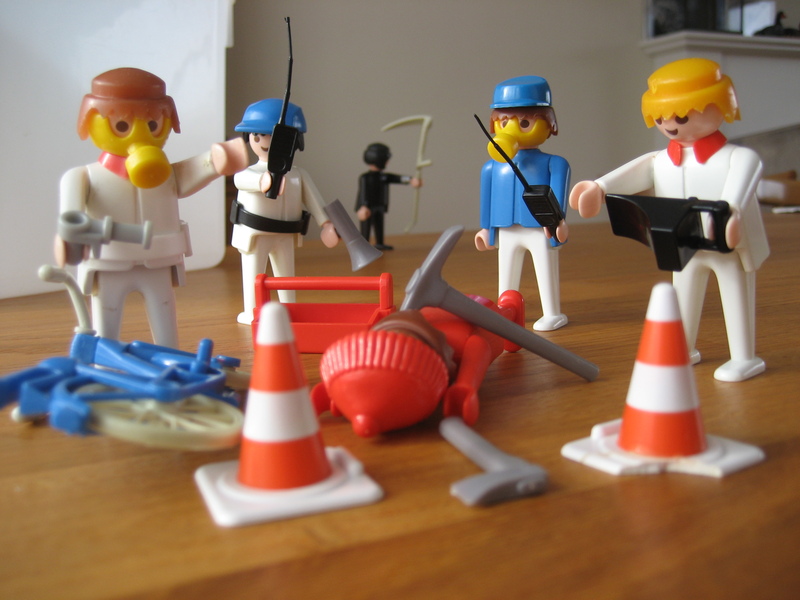 We’re working to fix some bugs that don’t allow you to view the album within this web page).